Standing out in the plethora of information that media writers encounter can be a daunting task for any business. The HP Canada team challenged TWG to develop a unique mailer to assist media and journalists planning holiday gift guides or writing holiday-inspired stories. The HP brand needed to be front and centre, and the client didn’t want a traditional booklet of information that would get lost in the pile. After reviewing the magnitude of information and photos required for this marketing piece, it became apparent to the design team that a larger than normal tool would be required. 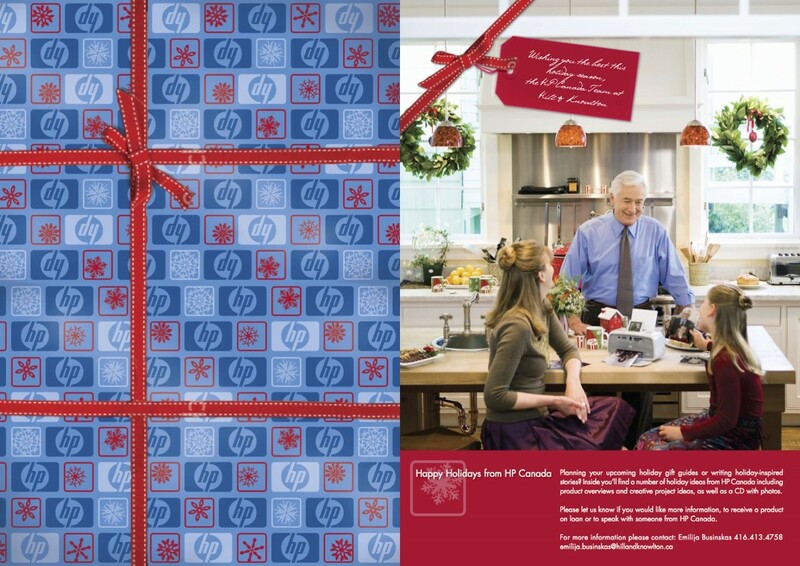 Seeing as HP wanted to be front and centre, the poster of information came wrapped up in HP branded holiday paper. A stunning large poster that was able to beautifully display the photos of products and information of the HP line-up. 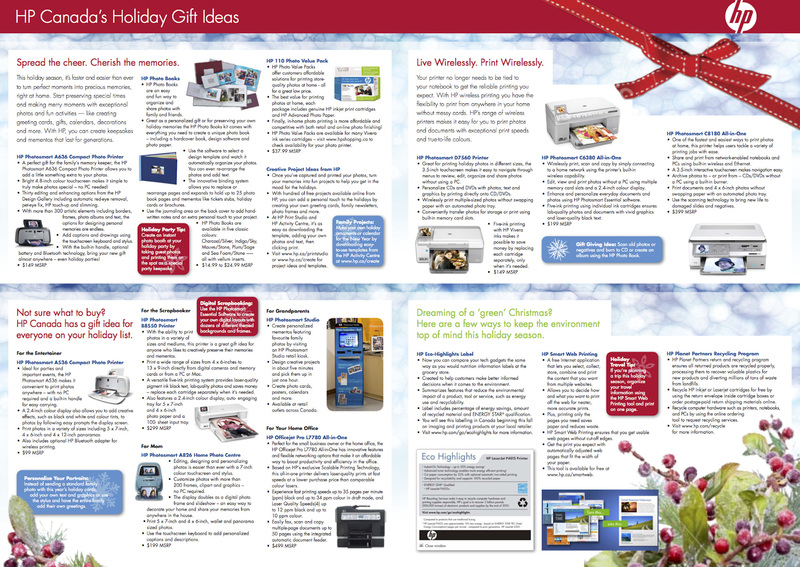 The HP holiday wrapping cover added intrigue to open up the poster to reveal the surprises the HP had to offer for the holiday season.